If you visited the Gymnastics Zone on a weekday after school, you would see a team of girls practicing their little hearts out. To the untrained eye, they might even appear as though they’re just beginning in the sport because most of them are quite young – but the staff at the Zone will tell you that they’re actually the first competitive level of their Junior Olympic Team program. This is the first year the Zone has allowed their tiniest gymnasts to compete in USAG sanctioned meets, and the girls have definitely lived up to expectations, doing quite well for their first few meets in the very competitive world of Junior Olympic gymnastics. 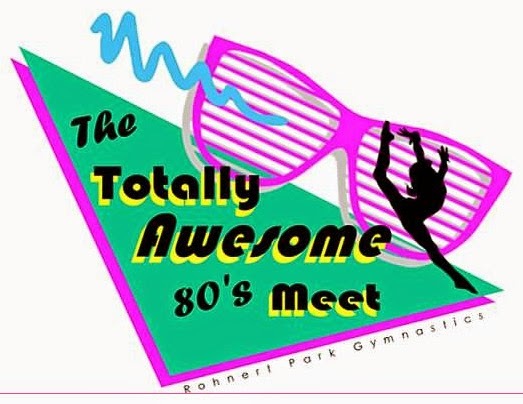 The girls wrapped up their season on February 8 at the Totally Awesome 80’s Meet hosted by Rohnert Park Gymnastics.